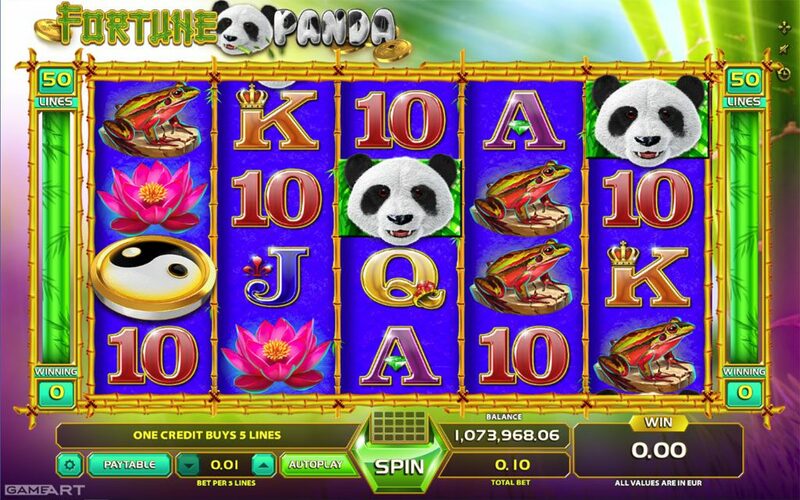 Panda is the cutest and in the case of FORTUNE PANDA slot game also the luckiest animal around. 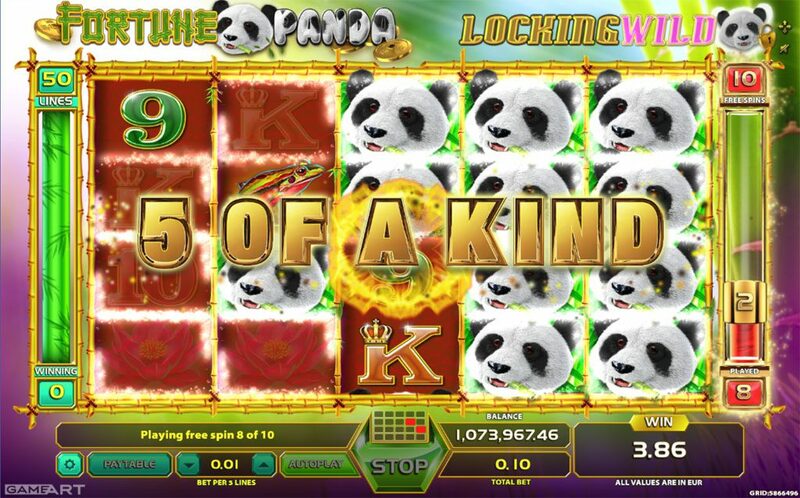 The 5 reel – 50 pay line slot game offers 10 free spins triggered by the three Jing Jang symbols landing on reels 1, 2 and 3 simultaneously. 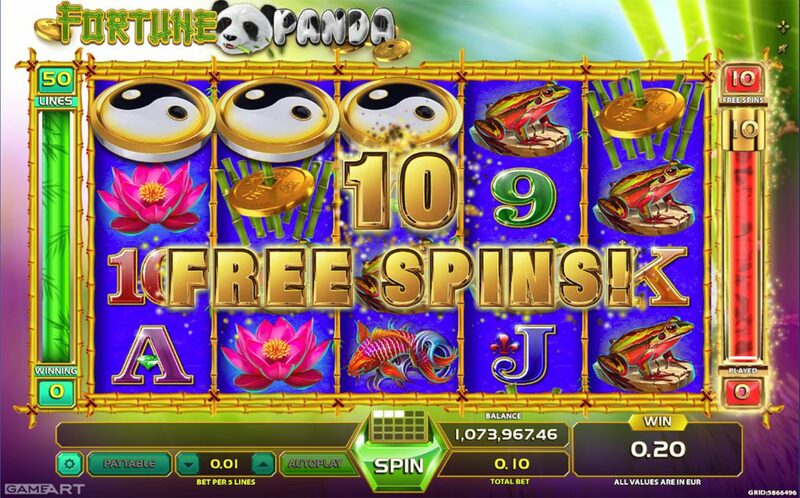 During the free spins any Panda appearing on reels stays locked in that position until the end of free spins and substitutes for all symbols except scatters. 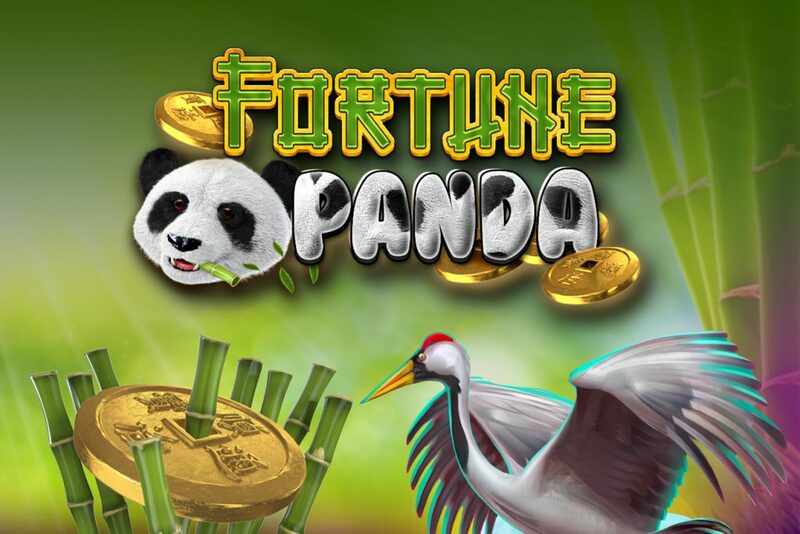 Bonus feature can be retriggered during the free spins awarding additional 5 free spins.